JC Pire Consulting provides more than just world-class Linux consulting! JC Pire Consulting provides more than just world-class Linux consulting! 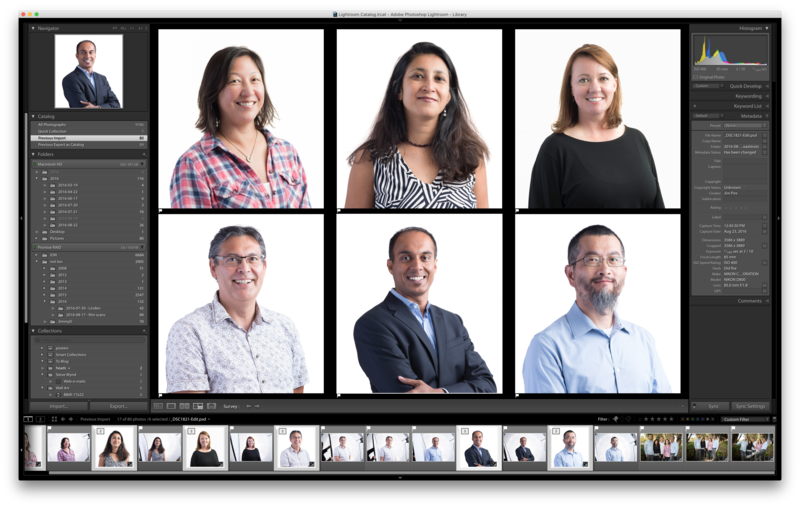 They also sometimes shoot corporate head shots. Here’s one of the start-ups we shot yesterday. I like this technique because the white background is so versatile, but also because it’s so easy to pull off. These were made with a simple two-light setup. A small umbrella to the right, reflector on the left, and a seven-foot umbrella with a white diffuser behind the subject pointed at the camera. Easy-peasy!